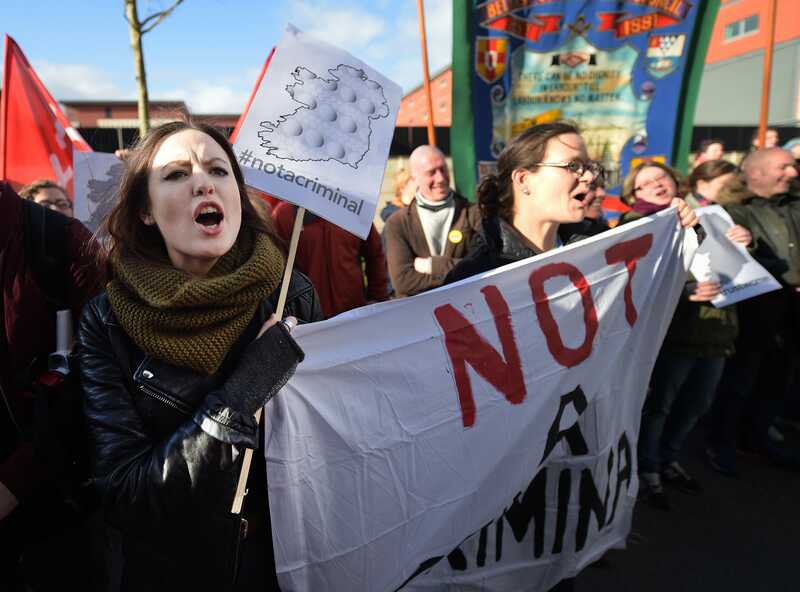 This week, pro-choice activists delivered abortion pills to women in Northern Ireland by drones. The stunt, reports The Guardian, was done to shine a spotlight on the strict abortion laws in both Ireland and Northern Ireland. The drone flew from Omeath in the Irish Republic and landed near Narrow Water Castle in County Down just after 10 a.m. on Tuesday. World Health Organisation-approved abortion drugs Mifepristone and Misoprostol, which can be taken up to nine weeks into a pregnancy, were delivered in the process. The flight was organised by pro-choice groups, including Alliance for Choice, Rosa, Labour Alternative and Women On Waves — the latter of which orchestrated a similar drone flight from Germany to Poland. Northern Ireland currently carries a maximum penalty of life imprisonment for the crime of administering a drug to induce miscarriage, under the Offences Against the Person Act 1861. In April, a 21-year-old woman from Belfast received a suspended sentence after buying drugs on the internet to induce a miscarriage. Additionally, in the Irish Republic, women face a potential 14-year jail term if they are found guilty of getting an abortion. “The law is archaic. We are governed in Northern Ireland by an act which is dated 1861, which is in the dark ages, it’s like when dinosaurs were on Earth. We think it should be changed radically and we can’t really wait any longer,” Belfast native Lucy Simpson, who took the tablets, told The Guardian. Both uniformed and plainclothes police officers were at the landing site and filmed the events, but no one took any steps to confiscate the doctor-prescribed medication.